There is a little tradition in the Evans household for Sunday mornings. Yes, we are lazy on Sundays, but that isn’t what we are referencing here today. 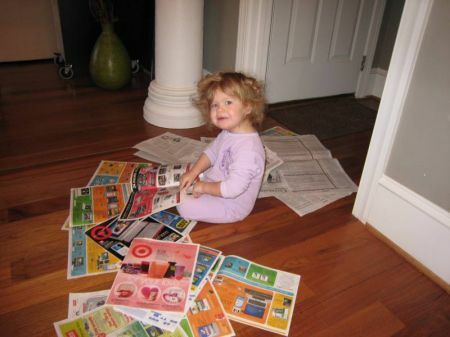 No, today we are spotlighting the fact that we like to get the paper and read it while eating breakfast. Mara was getting her practice in for carrying on that great tradition. Click through to see a couple more.